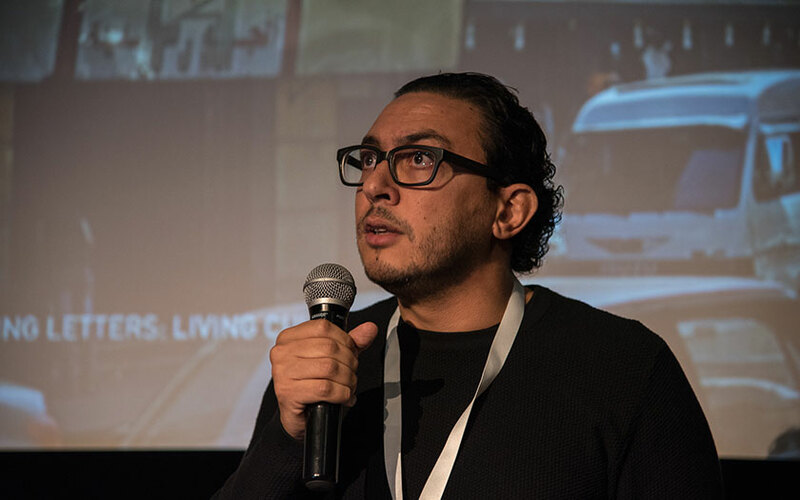 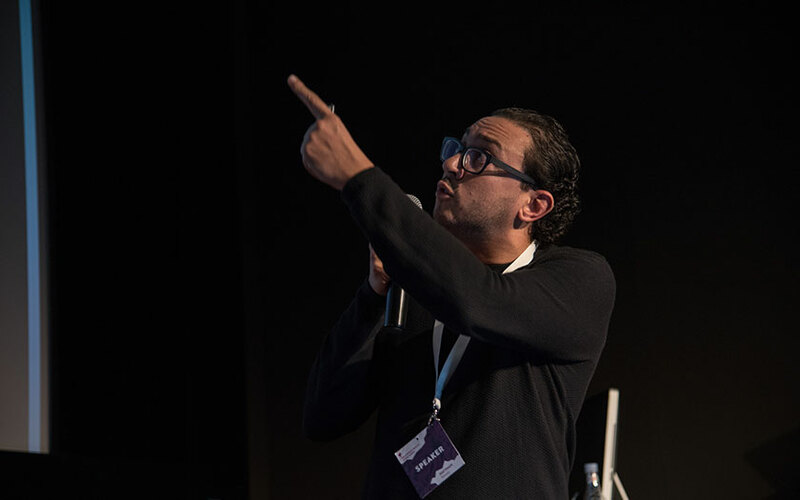 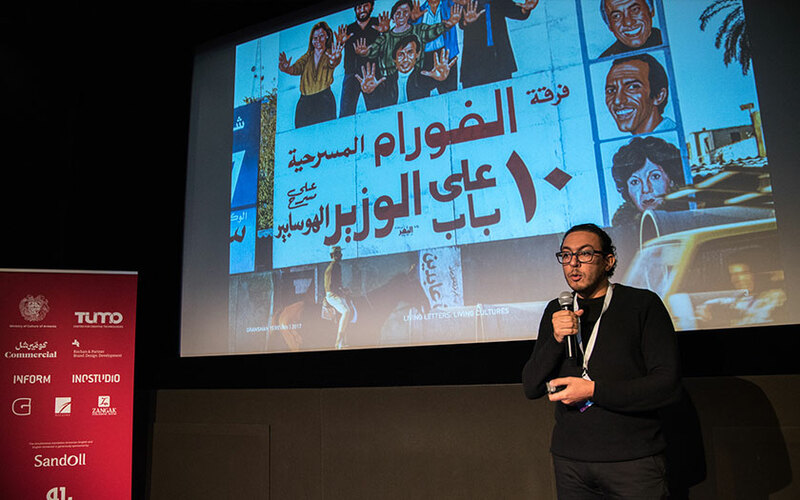 Cinema and film making has a strong history in Egypt. 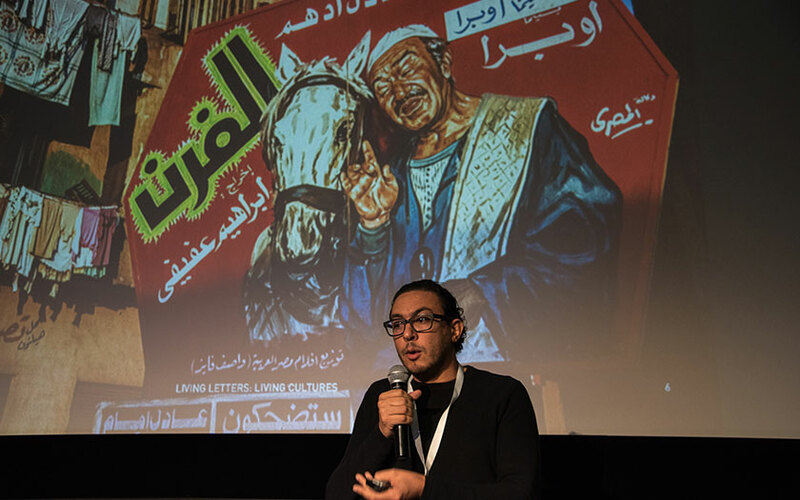 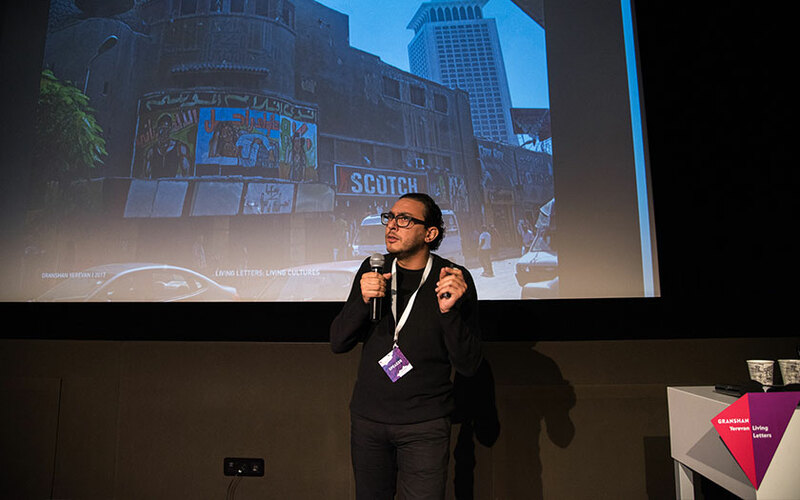 Haytham Nawar is presenting expressive designs of lettering in cinema posters and film booklets of the Golden Era (1940s-70s) and comparing them to later digital examples. 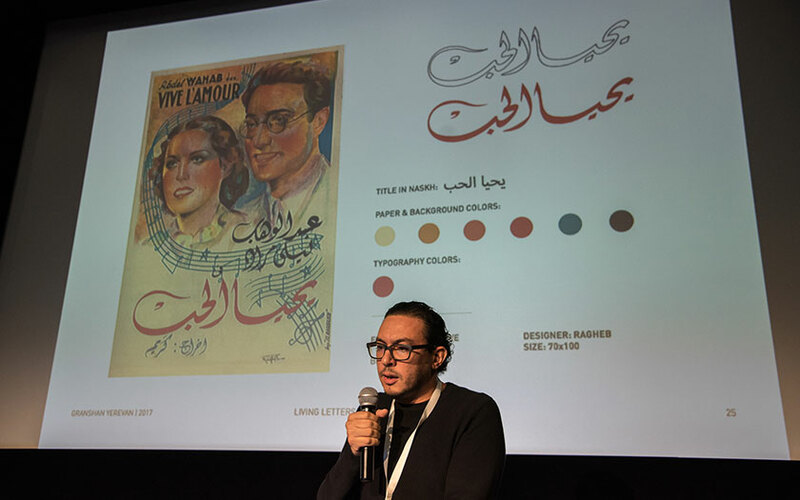 Showing how much creative and playful effort went into the artwork of the Golden Era – and appealing to the design community to educate about and be inspired by the works of this era.